This is the untold story of a generation that experienced one of the most extraordinary chapters in our nation's history—school desegregation. Many have attempted to define desegregation, which peaked in the late 1970s, as either a success or a failure; surprisingly few have examined the experiences of the students who lived though it. Featuring the voices of blacks, whites, and Latinos who graduated in 1980 from racially diverse schools, Both Sides Now offers a powerful firsthand account of how desegregation affected students—during high school and later in life. Their stories, set in a rich social and historical context, underscore the manifold benefits of school desegregation while providing an essential perspective on the current backlash against it. Amy Stuart Wells is Professor of Sociology and Education,Teachers' College, Columbia University. Jennifer Jellison Holme is Assistant Professor of Educational Policy, University of Texas, Austin. Anita Tijerina Revilla is Assistant Professor of Women's Studies, University of Nevada, Las Vegas. Awo Korantemaa Atanda is Survey Specialist, Mathematica Policy Research, Inc.
“Amidst dismal news of increasing inequality and resegregation, we are all apt to forget that there was a time in our history when the nation was moving in the other direction, often by the force of court orders, but backed by a measure of liberal will that saw, in school integration, the seeds of social justice. What, exactly, were the lasting achievements of desegregation? 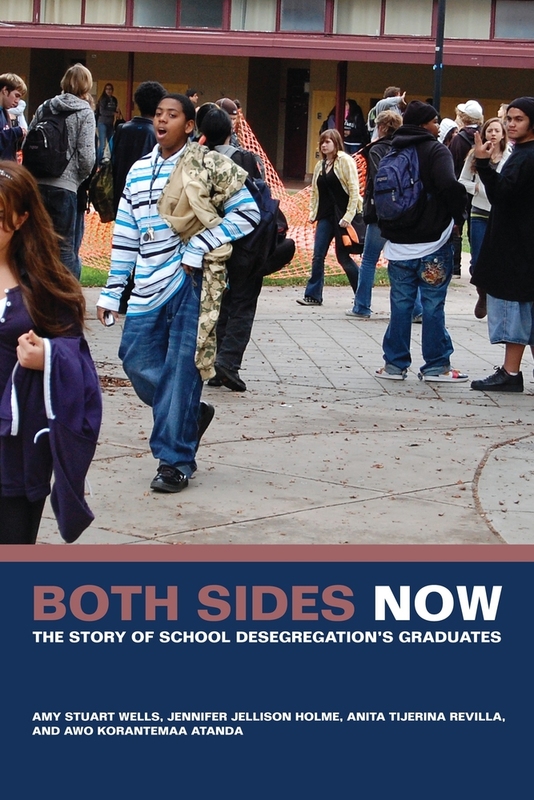 Based on interviews with graduates from integrated high schools from Texas to Ohio, from Pasadena to Charlotte, twenty years after they completed their degrees, the authors find that whites who shared classrooms with blacks are more concerned about equality, more critical of 'blame the victim' discourse, and more appreciative of what black culture has contributed to the American fabric. This book provides compelling, moving, and profoundly important testimony to the wisdom of policies that bring us together across the color line.”—Katherine S. Newman, coauthor of The Missing Class: Portraits of the Near Poor in America. 4. We're All the Same-Aren't We?